I'm not even going to lie, I legit thought yesterday was Easter. I have no idea why, but it wasn't until late Friday afternoon that I found out Easter wasn't until NEXT weekend. Well, good thing I already have my outfit picked out! It's easy to reach for florals for Easter, but instead of a floral dress, I was craving a floral blazer. I should clarify that this is what I plan to wear for our casual family get together, where I'm pretty sure we'll be eating Mexican and not having a formal ham dinner or anything like that. Since a floral blazer had been on my wish list, I was completely floored when I saw this one browsing through eShakti products. I'd heard of eShakti before, but had never shopped their website. It's unique because every item is customized just for you - you insert your size and height, and then select your preferences. For example, for this blazer, I opted for 3/4 length sleeves vs. full long sleeves, hip length vs. more of a cropped fit, and faux pockets vs. functional pockets. Neat, huh? What's even neater is that eShakti is offering my readers 10% OFF from now thru May 10th! 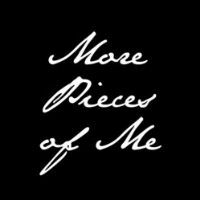 Just enter the promotional code "pieces" and please report back and let me know what you've picked and how it worked out for you! 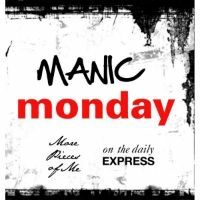 Linking up for Sunday Style, Monday Must Haves, Mix it Monday, Personal Style Monday. eShakti provided me this blazer in exchange for my review, but all opinions in this post are solely mine. 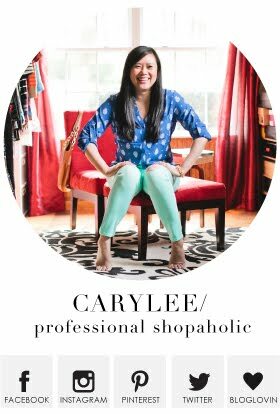 Look at you Carylee.....you are definitely an inspiration for me to grab a floral blazer as lovely as that one. Yours is def my favorite for its very easy breezy look which will get a lot of wear from me. I've been seeing a lot of floral blazers around but their designs are so busy & giving me a headache haha. I agree - there are def some prints better than others. Some are a little too 90s for me! I love that this is more subtle! I really do love it! Thanks for the sweet note, lady! how cool that you can customize pieces on eshakti, I will have to take a look, thanks for the heads up! Love this outfit, although I think it'll be a few more weeks before I get my pins out over on this side of the pond! Have a great Easter Carylee, and thanks for hosting!! (ps - just linked up and also have a beauty giveaway open to US residents too). Hope you have a great Easter also! I would definitely recommend eshakti - I need to pick my next piece! Love the floral and stripes! <3 I really like how you paired it with the shorts and heels though! We have snow here today, so I feel like shorts are still sooo far away for me. Fabulous clutch too!! I'm SO sorry to hear about snow, seriously! It was in the 50s today, and even that was miserable for me, so I can't imagine snow, too!! But, thank you for your comment - hope you can wear your florals and bare legs soon!! I love eShakti! I am definitely a huge fan of them! I love how you went with the floral print blazer! It fits you amazingly! Thank you! I am really impressed with the customization! And it honestly didn't take too long to receive either considering! That is such a cute floral blazer. I love how you styled it. Seeing those shorts makes me long for warmer weather so I can start wearing them! Oh, I hope it warms up for you up there, soon! I say this, but our weather has been so odd, too! Everyone just needs to feel 80 degrees again!! I sure did enjoy this post. I love your outfit and girl them legs....for days! Hotness! I'm so happy you found inspiration! Thank you! This is so cute!! We have a more casual Easter, too so I don't need to be super fancy! A floral blazer has been on my wishlist for awhile, too! Thanks, Darcy! It's hard to find the *perfect* floral print! I am really really happy with this! Great look! I love that blazer and that clutch is adorable! Thank you! The colors of both just make me so happy! Thank you so much! Seriously! Awesome outfit! That blazer is beautiful! Thanks, Becky! I'm really happy with it! Love love that blazer! The floral print is very different from so many I seen! Thanks, Adri! I gasped when I saw it online, knew I had to have it! What a pretty outfit. I love the cobalt accents and the fresh spring colors. Beautiful! Thank you! Now if it could just *stay* warm! What a great look for the summer or vacation. Thanks! I know I'll be reaching for this blazer a lot! I love a good floral blazer, and I love how your paired yours with stripes! I think it's time I broke out my floral blazer this season. Yes, would love to see you style yours for this season!! This is my most favorite striped tank! It really goes with everything! This outfit is gorgeous on you!!! Gurrrl, you looking super fly for spring! I love it, and all of your fabulousness! You always know how to make a girl feel good! Thanks, lady! I feel good in it! Love your floral blazer Carylee! And all that bright blue! You look ready for spring! Love the blazer! I like how you paired with the blue clutch to really make the outfit pop! Great choice. Thanks! It's such a fun bag! It finishes outfits so well! Hi. I am off to a rough start today. But do you know what brightened my day? You posting an EXCELLENT dupe of the Express striped tank...the one that got away from me. I just clicked through and purchased TYVM. Someone wise once told me buyer's remorse fades but buyer's regret never goes away. I'm not making the same mistake I made last year by waiting and missing a great striped tank twice. Yay!!! I thought it was an awesome dupe and I was relieved there was still all sizes available. And at a good price! Hope it works out! I tend to like French connection a lot! You look supercute in this outfit! I adore your floral blazer and this combo of white & blue look! Thank you so much! I loved the idea of a neutral background of the blazer with some basic white shorts! Absolutely LOVE how your accessories tie the whole look together! You could be a model! Well that is just the sweetest!! Thank you so much for making my day! And yes, I thought the same thing! The price wasn't bad either considering the customization! I love to see you in spring clothes, down here it has been warm for quite sometime, and I need some Carylee inspiration. Aww - this makes me feel good! Thank you for that! Although I'm jealous for your warm weather! Ours has been so sporadic! I was back in a cardigan and a scarf today!! Love this outfit! That blazer is great. I'm very happy with it! Thank you! Thank you! I really wish it was still on their website because it really is perfect! Gorgeous, gorgeous blazer Carylee!! LOVE it with the shorts..you look so polished!! That's so sweet, lady - thank you! Hahaha! Oh I just love you! You always make me smile - thanks! You look so much like spring! I love the blazer/shorts combination! This was my first time doing it! I am slowly building my blazer collection! It's great how they pair with shorts! I live in chino shorts in the warmer months! I love how you paired the blazer with shorts. And damn, girl! You've got some great legs. And I'd rather have Mexican over a boring old ham any day. Thanks, Tracy!!! I appreciate that! And the husband and his whole family (and ok, me too) is obsessed with mexican! And homemade enchiladas are amazing!! I love this little floral blazer. The subtle striped top underneath is perfect. The look with shorts is great and I can see it with a skirt or pants as well. Very versatile. Yes - I can't wait to find other ways to style this! I know it has so many possibilities! Look at you hottie, love the shorts and blazer look. xoxo Have fun in Jamaica. Jamaica really can't get here soon enough! I hate the week before and after vacation because of all the craziness that ensues! This outfit is so refreshing! This blue is so vibrant and I love how you let that color be the main focus. Im a huge fan of white shorts! 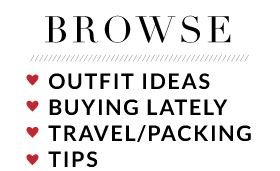 Can't wait to switch closets so I can find mine! Thank you! It makes me happy to look at because it's everything spring should be!! Hope you can whip yours out soon! 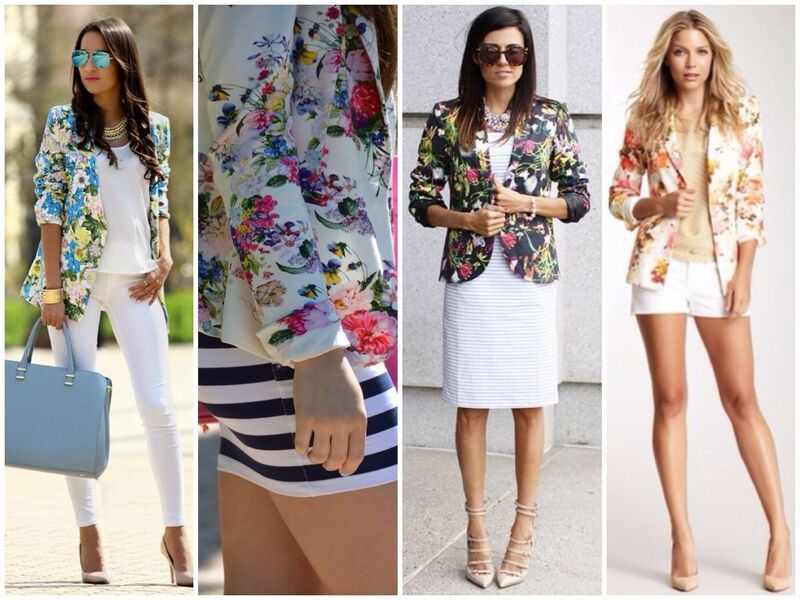 Ah now I really want a floral blazer or jacket! You look fab! For some reason I'm always afraid of wearing white on white, but you've made it look so chic. The blazer is beautiful with the blue flowers.I think I'll have to muster up the courage to try it! It can be challenging, I agree! I've been so drawn to it lately though! Try it! I know you can rock it! This is a wonderful look as Royal blue is one of my favorite colors! Thanks, Antionette! It's def one of my favorite colors to wear! Thank you for hosting and popping over here! Great! I will check it out! Thanks for stopping by and linking up!